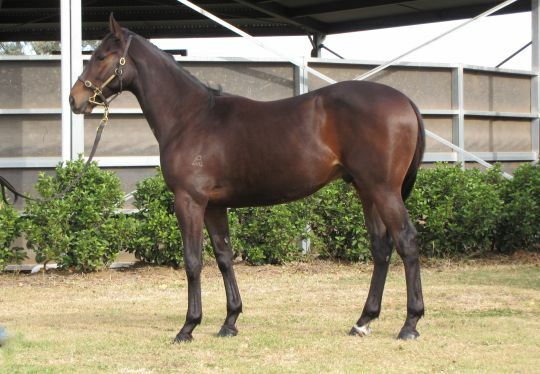 Local and regional buyers snapped up 83% of the lots offered at the 2013 Inglis HTBA Scone Yearling Sale at White Park. 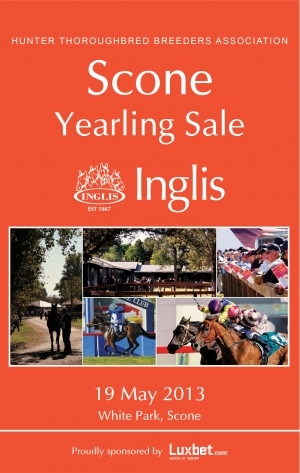 146 yearlings were sold at Scone for $1,774,000. The average price recorded was $12,151 and median $9,000. 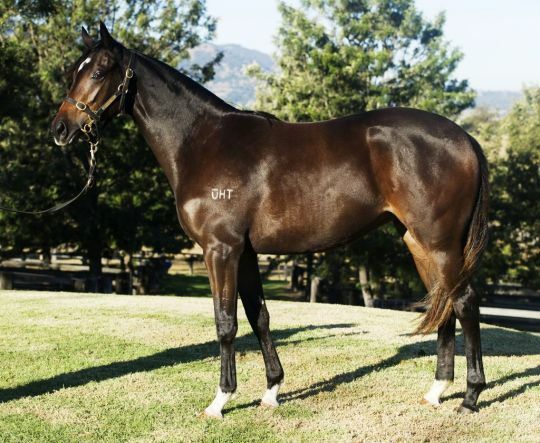 Broadmeadow trainer Paul Perry purchased the top priced yearling at the sale for $62,500, a colt by exciting young sire Northern Meteor from Sirenese that was offered as Lot 104 by Jorson Farm. 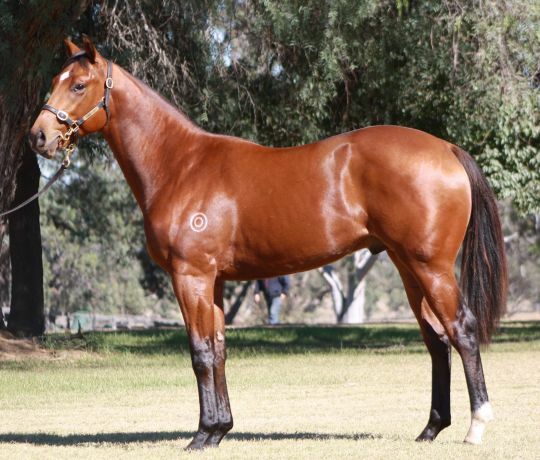 Perry finished as the leading buyer at the sale having purchased four yearlings for a total spend of $151,500. 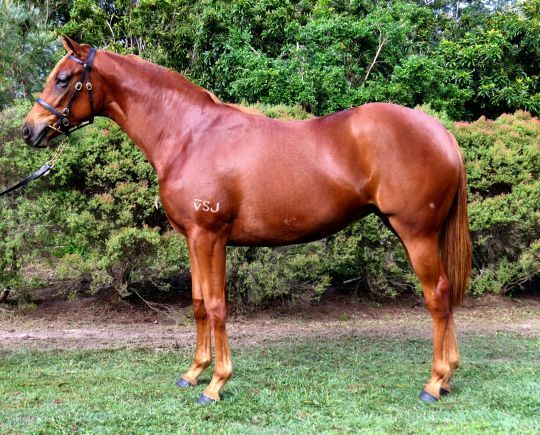 Local trainers had strong competition from owners, bloodstock agents and Ready 2 Race pinhookers that had travelled from throughout the region and interstate to Scone. 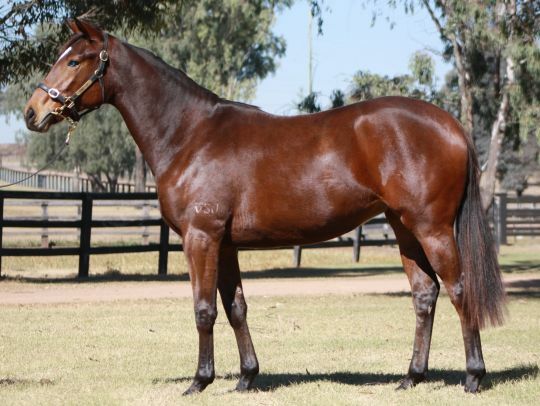 Arrowfield Stud sold all 18 of their offerings to finish at the top of the leading vendors list, highlighted by Lot 46 a colt by Snitzel from Lady Zabelia that sold to Darby Racing for $56,000. 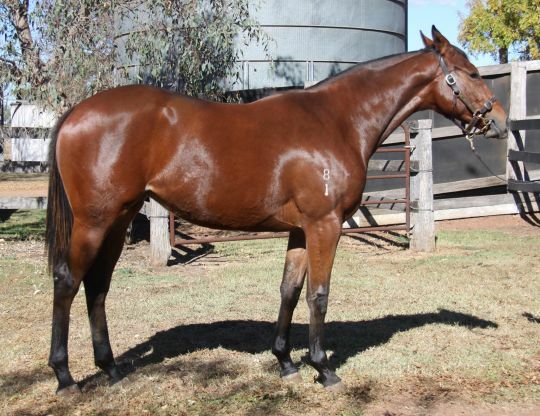 Yearlings that passed in during the sale are available for purchase via the Inglis Make-An-Offer Service. B.B. or Br.Blk.Br.Br. or Blk.Ch.G. 18 Withdrawn Lots - last withdrawal at 3:36 pm, 20th May 2013. Kreskin (2009.g. by Magic Albert-Beata, by Rory''s Jester-Sandy''s Angel). 1st Gosford RC Ace Butcher's Supplies H.
Grand Arch (2009.c. by Arch-Bacinella, by El Gran Senor-Oriental Mystique). BEAR TOUGH TIGER (2008.g. by Roar of the Tiger-Dazzling Deelite, by Afternoon Deelites-Caught My Eye). Chew the Fat (2008.g. by Snitzel-Fatina, by Rory''s Jester-Iradah). 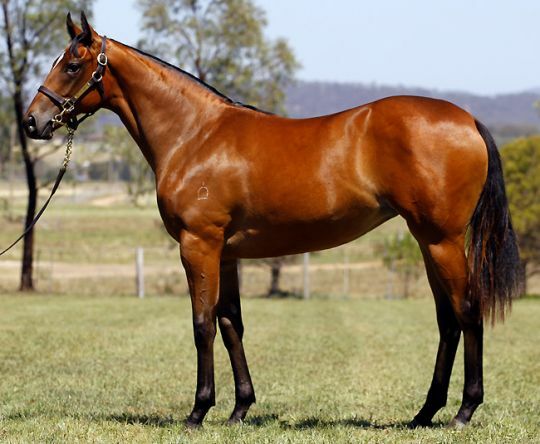 1st Townsville TC Byrnes Holdings H.
2nd Townsville TC Macca's P.
Goldclip (2010.c. by Snippetson-Yields of Gold, by High Yield-Fatina). 1st Wyong RC Bendigo Wealth Maiden P.
FANTISHA (2009.f. 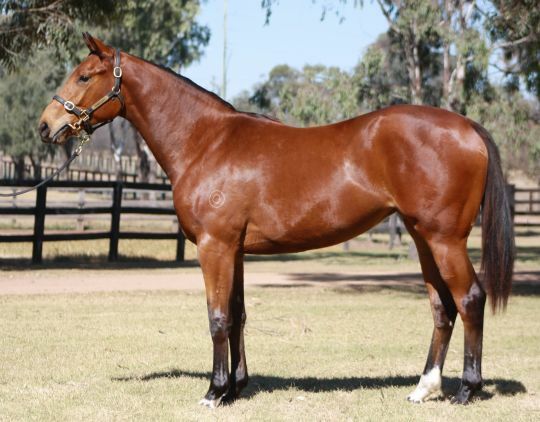 by Collate-Spurring, by Flying Spur-Lemon Role). CELEBRISSIME (2005.c. by Peintre Celebre-Ring Beaune, by Bering-Alexandrie). I''M YOUR MAN (2009.c. by Cape Cross-Via Saleria, by Arazi-Alexandrie). Iconic (2008.g. by Gold Away-Ring Beaune, by Bering-Alexandrie). Stand My Ground (2007.g. by Cape Cross-Perfect Hedge, by Unfuwain-Via Saleria). Wanaba (2009.g. by Anabaa-Willamina, by Sadler''s Wells-Animatrice). WINDHOEK (2010.c. by Cape Cross-Kahlua Kiss, by Mister Baileys-Ring Queen). Centurius (2010.c. by New Approach-Questina, by Rainbow Quest-Soviet Squaw). 1st Nottingham Normandie Stud With Lodge Farm Stud Maiden S.
Howdiddydoit (2007.g. by Magic Albert-Spurnof, by Flying Spur-Hunof). 1st Dubbo TC Kings Hall Jewellers H.
EXIMIUS (2009.g. by Exceed and Excel-Allegra, by Dehere-What Fun). 1st MRC (Sandown) Drum Theatre H.
Milkwood (2009.f. by Dylan Thomas-Goodeve, by Pleasant Colony-Ruling Angel). 2nd Avondale JC Bruce Amies Pharmacy Maiden S.
2nd Rotorua RC Escape to Rydges Maiden S.
Smartyfly (2010.f. by Smart Strike-Scarlet Butterfly, by Theatrical-Hummingbird Red). SCORE CLASSY (2010.f. by Even the Score-Sky, by Menifee-Skyshine). Perfect Assurance (2009.g. by Not a Single Doubt-Gray Gladiolus, by Incinderator-Gladiolus). 3rd Albury RC Vision Screenprinting Maiden H.
Ozone Bar - Bundle of Love (H.K.) (2008.g. by Hussonet-Loftily, by Shovhog-Grooves). Ms Ba Bella (2009.f. by Hidden Dragon-Moll Flanders, by Jugah-Gleamy). 1st SCTC Yalumba Wines H.
All My Angels (2009.g. by Not a Single Doubt-The Missus, by Danzero-Gourette). 1st SCTC National Solutions Group H.
Riddle Me This (2009.g. 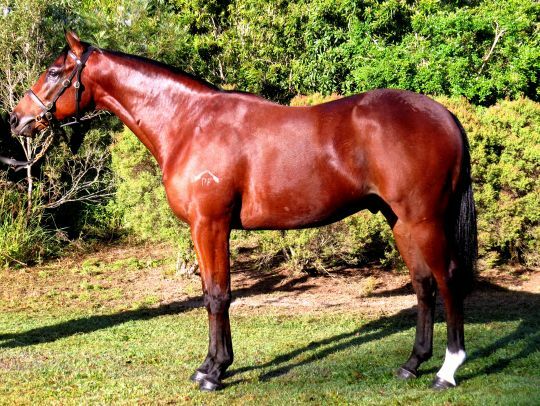 by Hussonet-Weaver of Words, by Danehill-Canadian Mill). Al Ahmar (2006.g. by Al Maher-Fawayez, by Royal Academy-Excellent Prospect). TAPIT GIRL (2010.f. by Tapit-Floral Beauty, by Gone West-Chelsey Flower). EVERAGE (2010.f. by Zizou-Quipster, by Snippets-Funster). KENDAM (2009.f. by Kendargent-Damdam Freeze, by Indian Rocket-Freeze Frame). ASSERT THE RIGHT (2004.g. by Razeen-Altitude, by Steinbeck-Climbing High). NINJAGO (2010.c. by Mount Nelson-Fidelio''s Miracle, by Mountain Cat-Flurry). Schiavone (2009.f. by Snippetson-Fedorova, by Baryshnikov-Freeze Frame). 1st BRC (Doomben) Gallopers Sports Club Maiden P.
Soapy Star (2009.f. by Dubawi-Babassu, by Desert King-Kelkaren). Shooting Sally (2010.f. by Northern Meteor-It Had to be You, by Belong to Me-Fionnay). 2nd Kilmore TC Owners Complimentary Lunch Maiden P.
Romanus (2006.g. by Encosta de Lago-Bulla Borghese, by Belong to Me-Fionnay). 1st Illawarra TC Sleep Disorders Service H.
Bound for Earth (2010.f. by Northern Meteor-Bulla Borghese, by Belong to Me-Fionnay). 1st ATC (Canterbury) Australian Turf Club 2YO H.
Always Persiangulf (2008.g. by Falvelon-It''s an Omen, by King Cugat-Closure). 3rd Mt Isa RC Bluescope Distributors H.
Extreme Mover (2007.g. by Falvelon-Material Mover, by Success Express-Maidella). 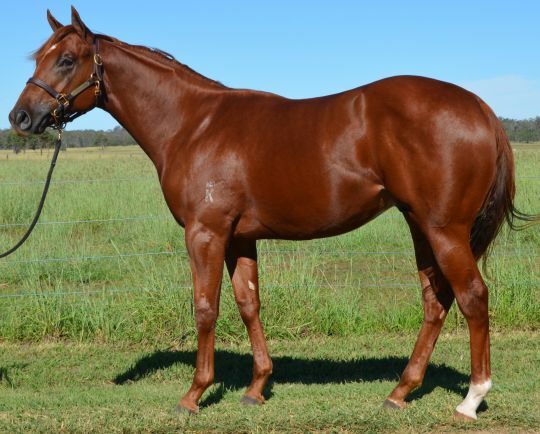 1st Toowoomba TC Rugby Farm Pty Ltd H.
Memphis Flash (2007.f. by Elvstroem-Coquette, by Zabeel-Highden Belle). 1st Murrumbidgee TC Shrapnel at Kooringal H.
HINZ (2008.c. 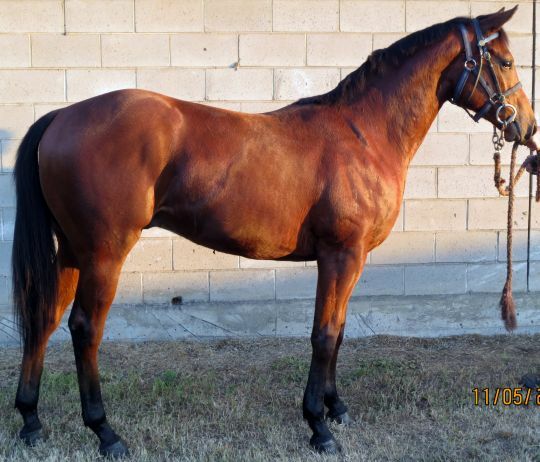 by Pure Prize-Historia, by French Deputy-Honoris Causa). Don''tstopbelieving (2009.g. by Testa Rossa-Lujacool, by Mujahid-Winter Consulate). 3rd Penang TC Restricted Maiden S.
EXCITES ZELADY (2010.g. by Excites-Zelady, by Zeditave-Hermitage Lane). MARKOFDISTINCTION (2008.f. by Mogok-Markanawa, by Maroof-Opera Bound). BORDER REBEL (2005.g. by Johannesburg-Frontier, by Flying Spur-Chador). Chow Meow (2009.g. by Tale of the Cat-Myamble, by Sir Dapper-Paris Miss). 1st Wangaratta TC Winsec Savings and Loans Maiden P.
RIC O''SHEA (2007.g. by O''Reilly-Fellowship, by Success Express-Shared Destinies). Grand Feeling (2008.f. by Grandera-Mintage, by Varick-Godover). 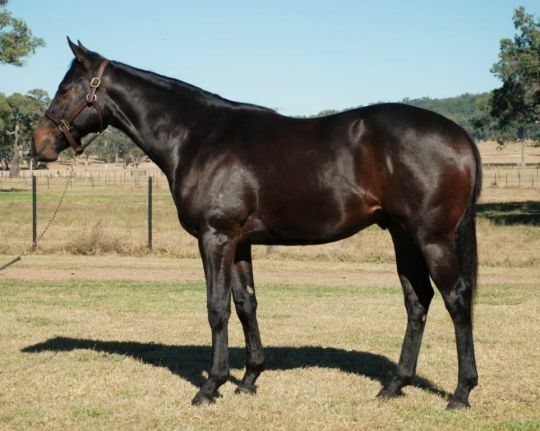 2nd Muswellbrook RC Mt Arthur Coal H.
BOBAN (2009.g. by Bernardini-Kenbelle, by Kenmare-Gilt Kingdom). 1st ATC (Warwick Farm) Gallipoli H.
Punctuate (2007.g. 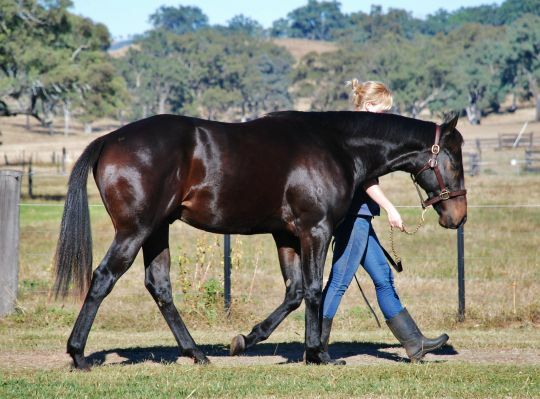 by Invincible Spirit-Coming Attraction, by Don''t Say Halo-Corsica). 1st TRC (Launceston) Sue Rees H.
1st TTC (Launceston) Kilargo Door Seals H.
I Am Magic (2007.g. by Magic Albert-Miss Schumann, by Brahms-Dallaeni). 1st Alice Springs TC Mixed Lollies P.
Hot to Trot (2009.c. by Trotamondo-Miss Schumann, by Brahms-Dallaeni). 1st Devonport RC Deloraine Newsagency H.
Wonderful Aussie (2010.g. by Wonderful World-Momoco, by Rory''s Jester-Rita Street). 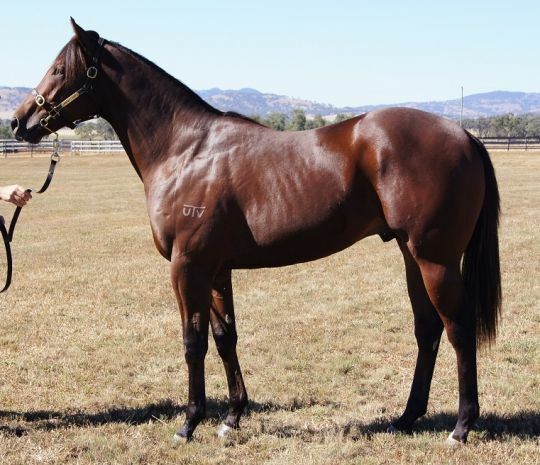 3rd Lismore TC Next Raceday 2YO H.
Silent Valley (2006.g. 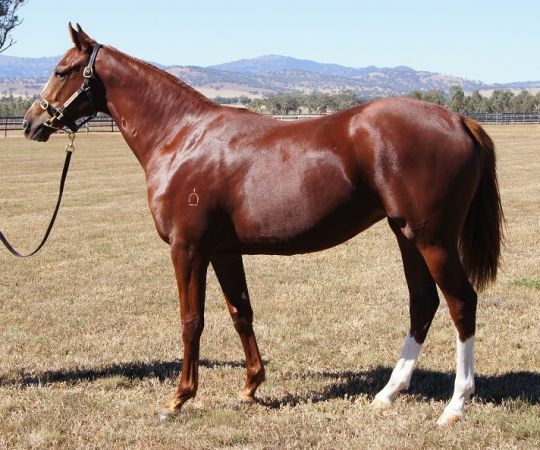 by Exceed and Excel-Lost Valley, by Fuji Kiseki-Peebinga Princess). 1st Taree-Wingham RC Exchange Hotel H.
Lime Rickey (2006.g. by Lemon Drop Kid-Kootenai, by Deputy Minister-Classy Cathy). Purrfectlyfearless (2006.c. by Catbird-No Fear Here, by Don''t Say Halo-Show No Fear). 1st SCTC Brisbane Injury Lawyers H.
Husson''s Fortune (2005.g. by Hussonet-O''Fortuna, by Gilded Time-Sabrina Fair). 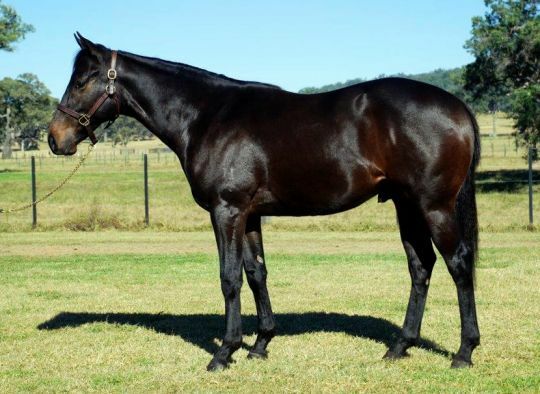 1st Barcaldine RC Race Club H.
1st Barcoo ARC Landmark H.
Dark Miss (2008.f. by More Than Ready-Dark Amber, by Marscay-Best Dastilles). 1st WATC (Ascot) RWWA National Apprentices' Challenge H.
Churchill Dancer (2010.g. by Churchill Downs-Dark Review, by Second Empire-Dark Amber). 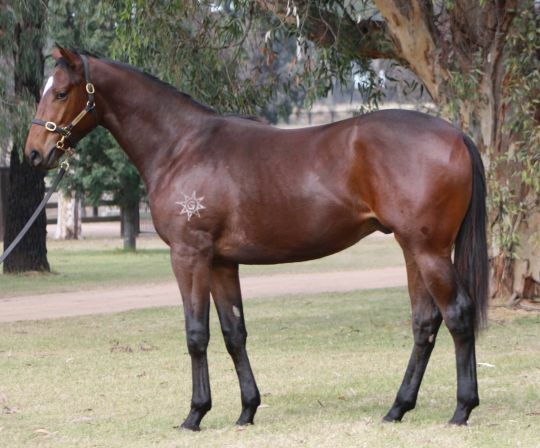 1st VRC (Flemington) VOBIS Gold Ingot 2YO S.
Dark Angel (2008.f. by Nadeem-Opaline, by Jade Robbery-Orwhina). 3rd Thangool RC Powers Investment P.
Engine (2007.g. by Testa Rossa-Marshow, by Marscay-Orwhina). GENERAL TRUCE (2007.g. by Brief Truce-General Resolve, by General Nediym-Hard Decision). 1st VRC (Flemington) Yarraville H.
Divertire (2009.f. by Econsul-Paris Sweep, by End Sweep-Paris Interlude). 1st ATC (Randwick) Onemorenomore at Easter H.
Amazing Grace (2006.f. by High Chaparral-Torrance, by Geiger Counter-Paris Interlude). 1st Selangor TC Class 5 H.
Balayeur (2008.g. by Econsul-Paris Sweep, by End Sweep-Paris Interlude). 1st Kyneton and Hanging Rock RC NMIT H.
Batman (2009.g. by Falkirk-Zuri, by Kaapstad-Distant Heights). 1st Manawatu RC Lincoln Lodge H.
Four Fortyfour (2006.g. by Catcher in the Rye-Quintessentially, by Naturalism-Tetue Topaze). Knockabout (2009.g. by Snitzel-Revolutions, by Spinning World-Rebel). 3rd ATC (Canterbury) Hyland Race Colours H.
Grand Daughter (2009.f. 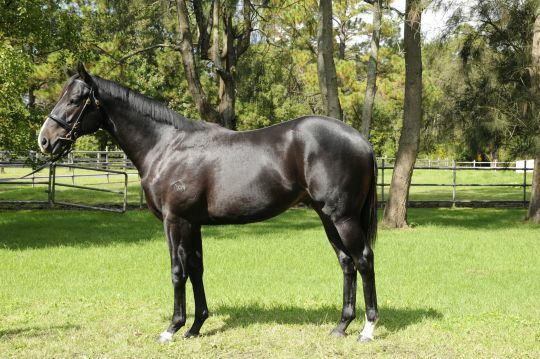 by Redoute''s Choice-Sunday Valentine, by Sunday Silence-Laurel Avenue). Laser Flash (2009.c. 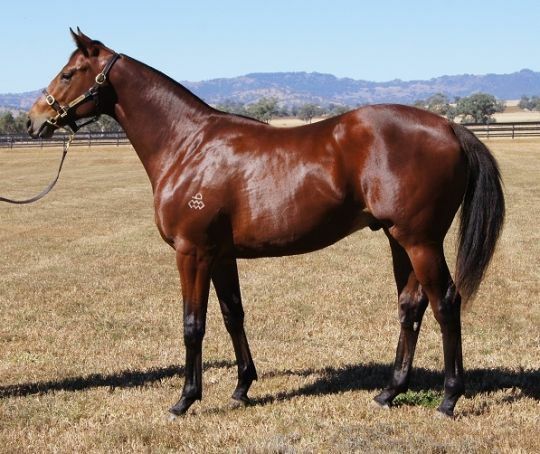 by Redoute''s Choice-Personify, by Galileo-Procrastinate). Sunshine Miracle (2009.g. by Bradbury''s Luck-Saint Fran, by Langfuhr-Pompeii Princess). WYLIE HALL (2009.c. 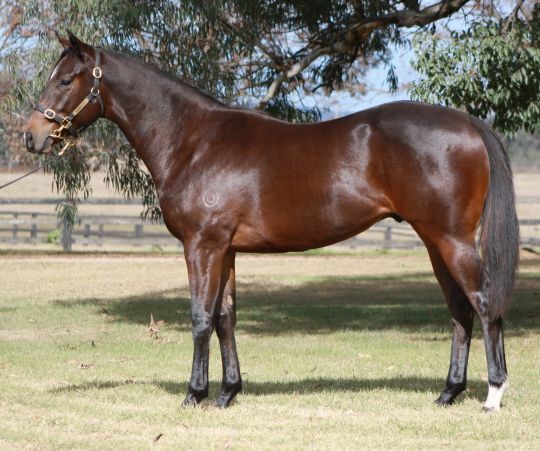 by Redoute''s Choice-Beauty Belle, by Ideal Planet-Electric Belle). Roses in Spring (2008.f. by Hussonet-Rose o'' War, by Danehill-Savana City). 1st Arlington Reminder Intercontinental Village Day Maiden P.
Simple Choice (2008.f. 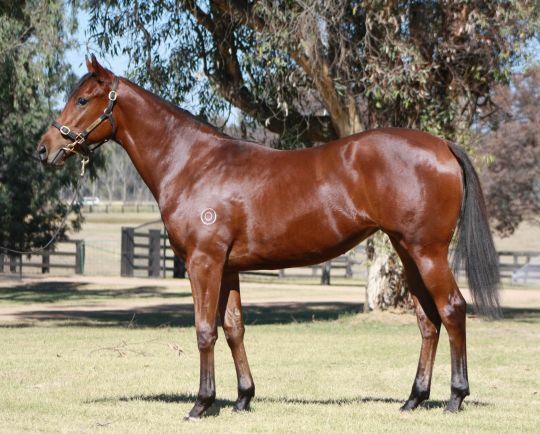 by Snitzel-Simply Blue, by Zabeel-Bantry Blue). 2nd Kyneton and Hanging Rock RC Spicer Thoroughbreds H.
2nd Benalla RC Benalla Toyota Cup H.
Casual Choice (2009.g. by Choisir-Lackadaisical, by Star Pyramul-Kerfuffle). 1st ATC (Randwick) Facebook.com Sydney Carnival H.
World in a Spin (2003.c. by Spinning World-Dark Space, by Al Nasr-Space Ritual). SUMMER BREEZING (2009.c. by Langfuhr-Summer Solstice, by Caerleon-Summer Sonnet). Wedge Trust (2010.f. by Zamindar-Wedge, by Storm Cat-Kentucky Rose). Speed of Dark (2007.f. by Fusaichi Pegasus-Kaystar, by Spinning World-Starstruck). 1st Clarence River JC Ward's Mistake H.
Zenith of Hope (2009.g. by Excites-Stylish Chanel, by Stylish Century-Buzz). 3rd Orange JC Jack Daniels Maiden P.
Amorino (2009.g. by Snitzel-Steal My Love, by Marauding-Stormy Exchange). Holy Spring (2009.f. by Dylan Thomas-Take Heart, by Fusaichi Pegasus-Steal My Love). 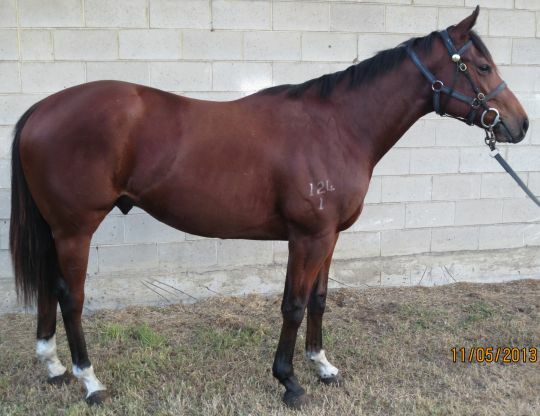 1st BRC (Doomben) Act for Kids Maiden H.
EAGLE ISLAND (2010.c. by Fastnet Rock-Banc de Fortune, by Galileo-Danendri). St Blackberry - Luenyat Blackberry (Mac.) (2008.g. by Strada-Thorny Issue, by Zeditave-Prickly Problem). CONCEALED IDENTITY (2008.g. by Smarty Jones-Richetta, by Polish Numbers-Riscay). DARIANNA (2007.f. 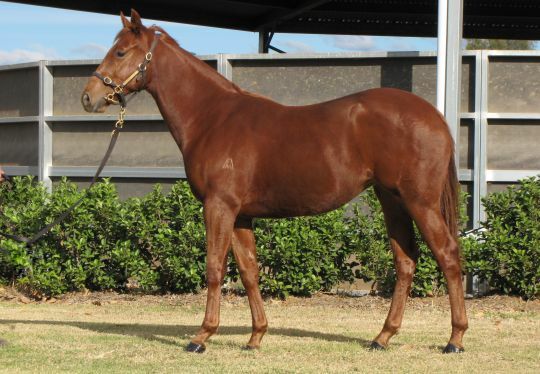 by Fast Macau-Carita Pintada, by Italian Danzig-Seaquette). JOHNNY HANDSOME (2010.c. by Zanjero-Go Girlfriend Go, by Demidoff-You Go Girlfriend). Chandlers Heart (2007.f. by Western Fame-Where''s My Heart, by Romanov-Aube). Real General (2007.g. by King''s Chapel-River Chant, by Danasinga-Crash Course). Ideal Guide (2010.c. by Red Ransom-Just Dancing, by Fusaichi Pegasus-Ballroom Babe). Dee Bee Nine (2006.g. 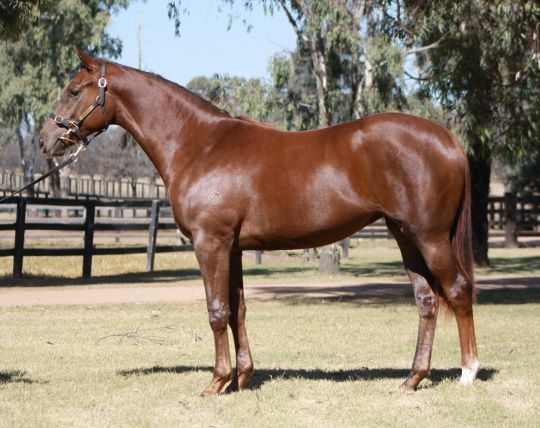 by Red Ransom-Tahni Girl, by Redoute''s Choice-Ballroom Babe). Andthebandplayedon (2006.g. by Commands-Orchestrations, by Palace Music-Deliberation). 1st Mackay TC McDonalds H.
1st Mackay TC Channel 7 Local News H.
1st Mackay TC Turf Club 100 Club P.
1st Mackay TC Hot FM H.
SIDESTEP (2010.c. 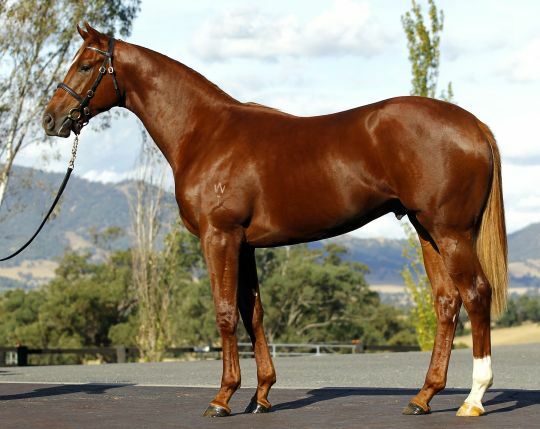 by Exceed and Excel-Dextrous, by Quest for Fame-Many Hands). PROVERB (2009.g. by Commands-More Haste, by Brief Truce-Many Hands). Thorn Star (2008.f. by Thorn Park-Monica Hall, by Volksraad-Greta Hall). 1st MRC (Sandown) City of Greater Dandenong H.
ROYAL DESCENT (2009.f. 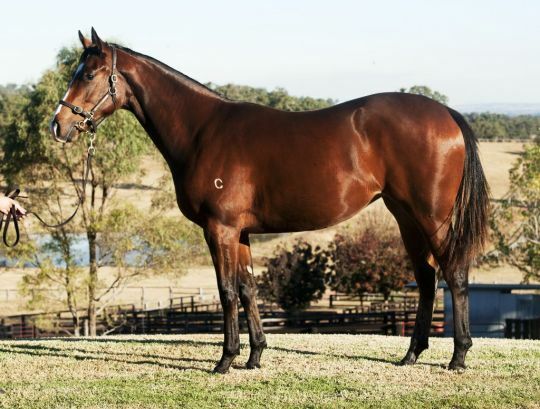 by Redoute''s Choice-Mulan Princess, by Kaapstad-Madam Valeta). Geoesprit (2007.g. by Bel Esprit-Georgia, by Naturalism-Lady Doldrum). 1st Alice Springs TC Yeperenye H.
ISOPACH (2008.g. by Magic Albert-Curvaceous, by Zabeel-Twiggy Kima). Feeling Naughty (2008.f. by Magic Albert-Naught, by Danzero-Best Percentage). 1st Beaudesert RC GMV Veterinary Supplies H.
SO WOTIF (2009.g. by Iffraaj-Electricity, by Geiger Counter-Explanation). 1st ARC Barfoot and Thompson S.
Fuerza (2010.c. by Snippetson-Lady Min, by Nothin'' Leica Dane-Explanation). GENERAL PEEKAY (2009.g. 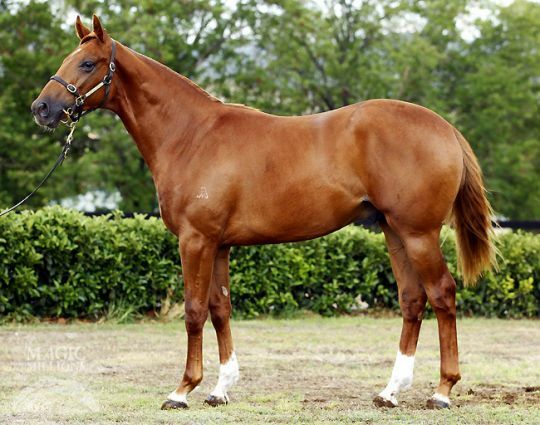 by General Nediym-Barberton, by Flying Spur-Gwalia). Steel Spur (2009.g. by Flying Spur-Xaarling, by Xaar-Startling Lass). 2nd Pinjarra RC Lark Hill Vets Maiden P.
Just the Tonic (2008.g. 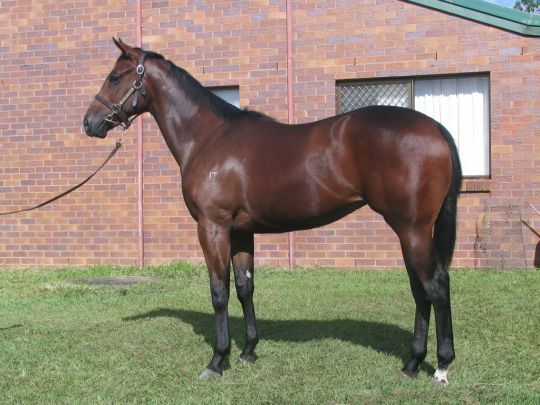 by Redoute''s Choice-Platonic, by Nassipour-Startling Lass). 1st Rockhampton JC XXXX Gold P.
MAHISARA (2008.c. 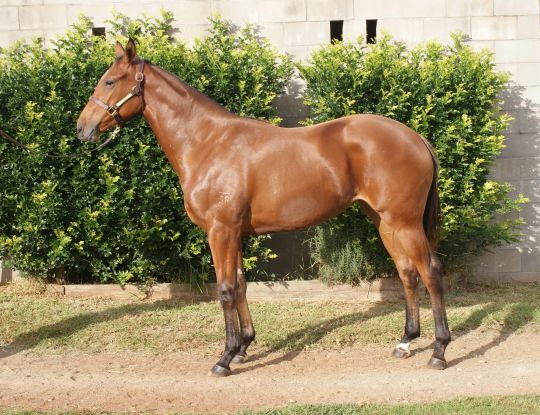 by More Than Ready-Darsini, by Danehill-Tirumani). Good Judgement (2006.g. 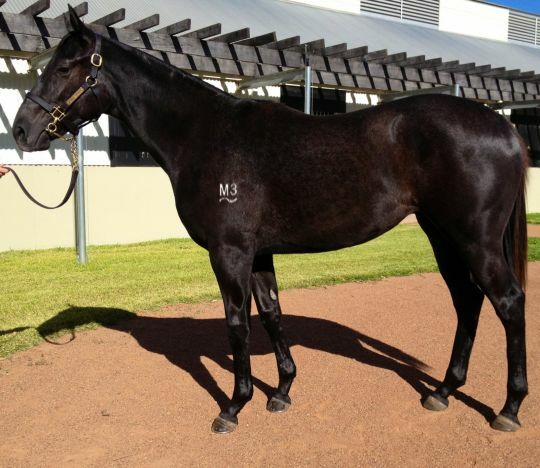 by Lonhro-Agile, by Canny Lad-Super Trend). Navajos (2008.g. by Chateau Istana-Paradise, by Al Hareb-Oak Bell). 1st Barcoo ARC Prince of Wales XXXX H.
Goldvan (2009.f. by Chateau Istana-Paradise, by Al Hareb-Oak Bell). 1st Einasleigh RC Oasis Roadhouse Maiden P.
Poitier (2008.g. 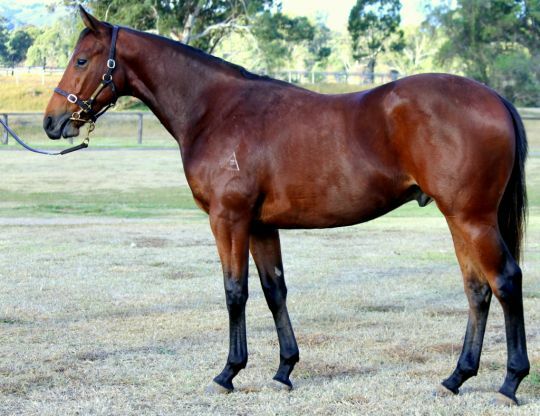 by Redoute''s Choice-Anigma, by Machiavellian-Angelina Ballerina). 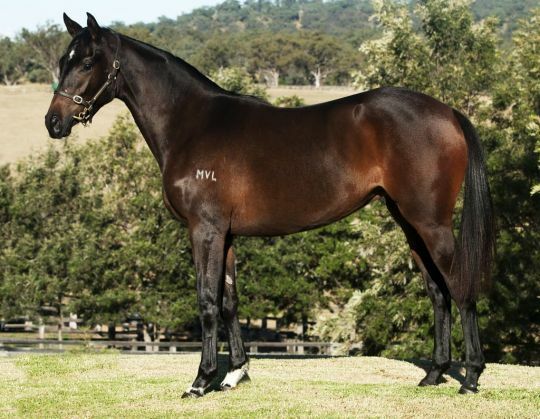 2nd Seymour RC Rokeby Park H.
Argun River (2007.c. by Oasis Dream-Apperella, by Rainbow Quest-Angelina Ballerina). Leeway (2009.f. by Captain Al-Lereyev, by Lear Fan-Main Edition). 1st Fairview Soccer 1 P.
Successful Story (2010.c. by Successful Appeal-Top Story, by Carson City-Main Edition). Friday Hussy (2008.f. by Hussonet-Free Friday, by Helissio-Not on Friday). 1st MRC (Caulfield) Wellington Racing Club H.
1st MVRC (Moonee Valley) Medownick Laser Eye Surgery H.
1st MRC (Caulfield) BMW H.
Who Wee (2009.g. by Charge Forward-Tree of Life, by Shirley Heights-Cape Chestnut). 1st Armidale JC Business Houses Maiden H.
Dubai Bullet (2008.f. by Dubai Destination-Autumn Wings, by Flying Spur-Amorette). 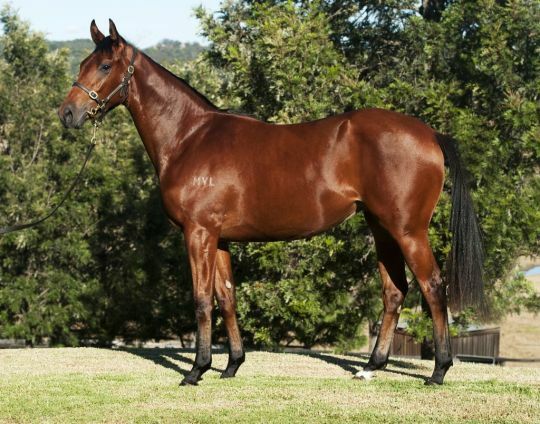 1st Sapphire Coast TC Club Sapphire Merimbula H.
2nd Murrumbidgee TC Hutcheon and Pearce H.
Court the Cat (2009.g. by Court Command-Catnipped, by Rory''s Jester-Final Claus). 1st Illawarra TC Illawarra Medical Centre H.
Cascada (2008.f. 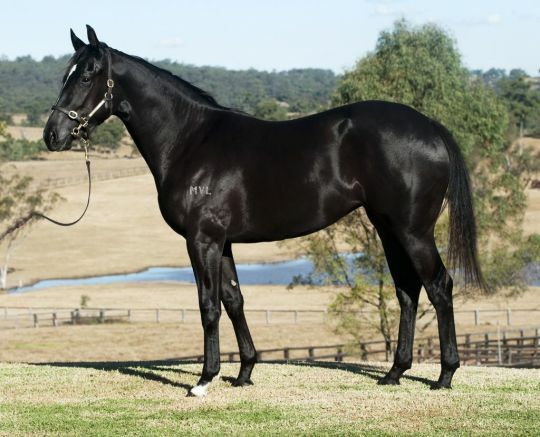 by Lonhro-Before Too Long, by Belong to Me-Asian Reef). 3rd Tamworth JC Laser Plumbing H.
3rd Dubbo TC Your Business is Our Business H.
Zagami (2009.g. by Red Ransom-She Likes to Party, by Quest for Fame-Party Time). 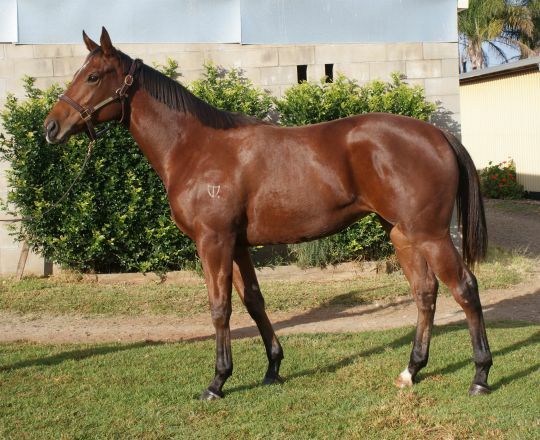 1st BRC (Eagle Farm) Mount Franklin Maiden H.
HAVANA REY (2008.g. by King Cugat-Dydeedoe, by King of Kings-Blush). Helvetica (2009.f. by Zariz-Black Type, by Honour and Glory-Lirico). 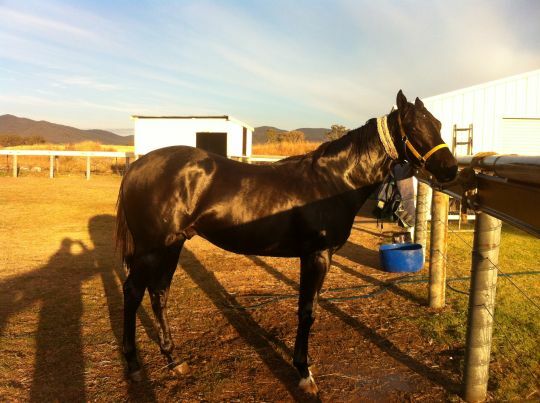 1st Goulburn DRC Goulburnraceclub.com.au Maiden H.
3rd Goulburn DRC Goulburnraceclub.com.au Maiden H.
Zellindi (2010.f. by Bel Esprit-Emilydelago, by Encosta de Lago-Emily Blue). 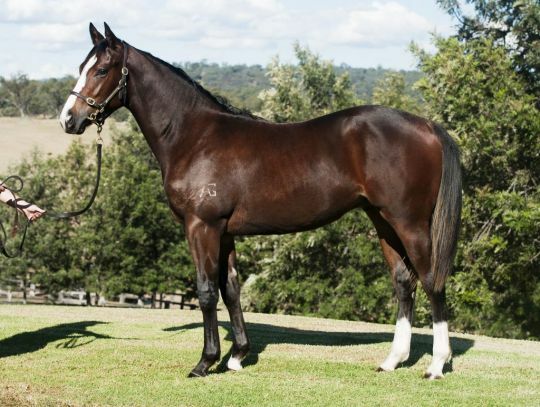 1st MVRC (Moonee Valley) DPOS Displays 2YO H.
Couldn''t Agreemore (2009.g. by Not a Single Doubt-Blumarju, by Marju-Fikra). NEO (2009.g. by One Cool Cat-Vicky, by Encosta de Lago-Brompton''s Girl). 1st Te Aroha JC Plumbing and Drainage S.
Mr Costa Cugat (2009.g. by King Cugat-Becoming, by Encosta de Lago-Cantinela). 1st Otago RC Callum and P Maiden S.
Holy Cat (2010.g. 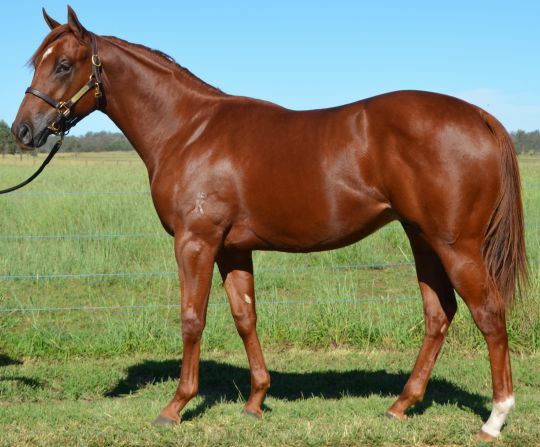 by Holy Roman Emperor-Cat be Quick, by West Quest-Cat be Nimble). 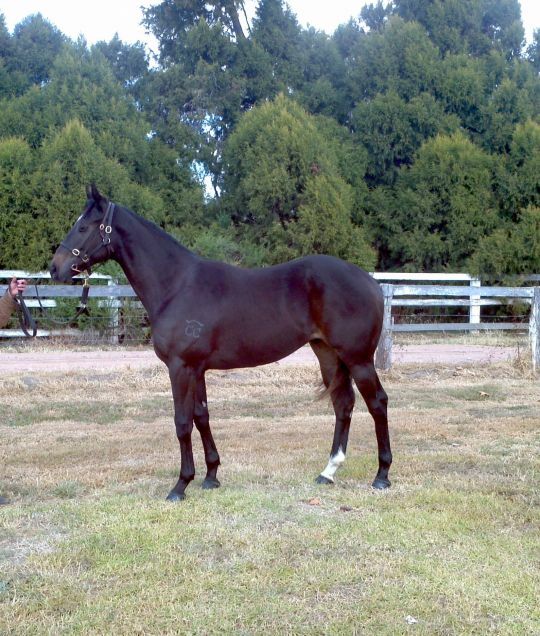 1st TTC (Launceston) The Lido Apartment 2YO Maiden P.
TALE OF A CHAMPION (2008.c. by Tale of the Cat-If Angels Sang, by Seattle Slew-Chapel of Dreams). 1st Santa Anita March Madness Starter H.
Pardonmecomingthru (2010.f. by Chatain-Bridal Tea, by Gulch-Chapel of Dreams). ARACELIS BABY M. (2009.f. by Simon Pure-Shannons Debut, by Stormy Atlantic-Debrah''s Debut). Snippets Caviar (2009.g. by Snippetson-Clownen, by Reenact-McHappy). 1st SCTC Contour Consulting Maiden H.
2nd SCTC Sky Racing Maiden H.
SCANDIVA (2010.f. by Fastnet Rock-Scandinavia, by Snippets-Song of Norway). Arctic Flight (2008.f. by Flying Spur-Scandinavia, by Snippets-Song of Norway). ALL TOO HARD (2009.c. by Casino Prince-Helsinge, by Desert Sun-Scandinavia). BLACK CAVIAR (2006.f. by Bel Esprit-Helsinge, by Desert Sun-Scandinavia). Iconic (2010.g. by Bel Esprit-Danavia, by Danehill-Scandinavia). Halfback Kid (2007.g. 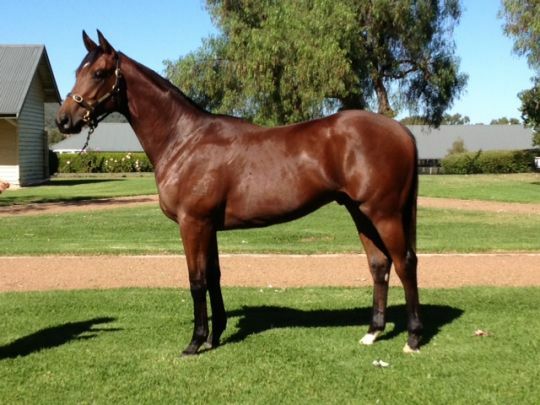 by Mr Henrysee-Dainty Deb, by Danehill-Peggy Ann). 3rd Augathella RC Suncorp Agribusiness H.
Lyndhurst (2009.g. by Bernardini-Danapali, by Danehill-Taking Liberties). 2nd Kilmore TC Lilydale Instant Lawn Maiden P.
3rd MRC (Mornington) Car and Tyre Service Maiden P.
TRANSPORTER (2007.g. by Commands-Portrait Collector, by Sir Tristram-Lady Liberty). 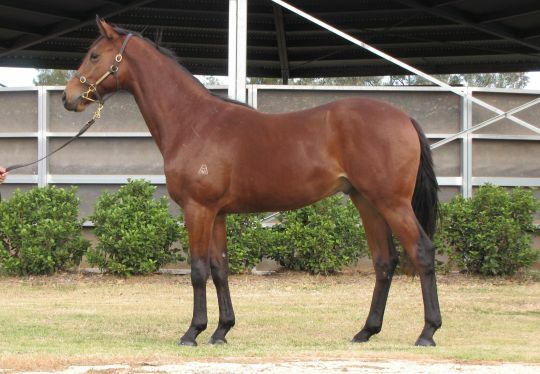 1st BRC (Doomben) Jae My Holdings H.
Definite Time (2009.g. by Charge Forward-Danetana, by Danehill-Gatana). 2nd Canberra RC Yowani Country Club Motel H.
Miss Parnassus (2008.f. by Strada-Delphi, by Thunder Gulch-Charming). 1st Port Augusta RC Augusta Auto Mall Maiden P.
BUDRIGUEZ (2006.g. by Al Maher-Deni, by St Covet-Speranto). Shamus (2006.g. by Shamardal-Denia, by Thunder Gulch-Lurelin). 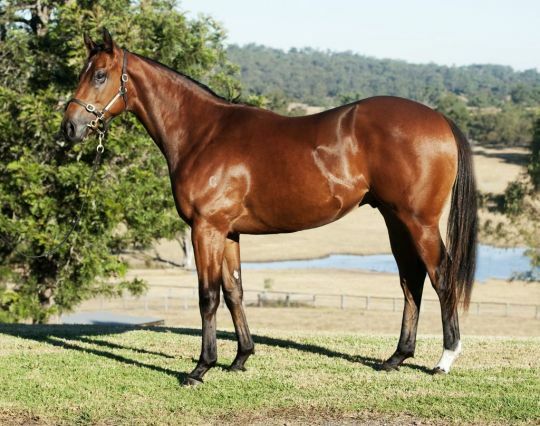 2nd ATC (Warwick Farm) El Alamein H.
Christmas Island (2006.g. by Encosta de Lago-Quinsigimond, by Formidable-Quillotern). 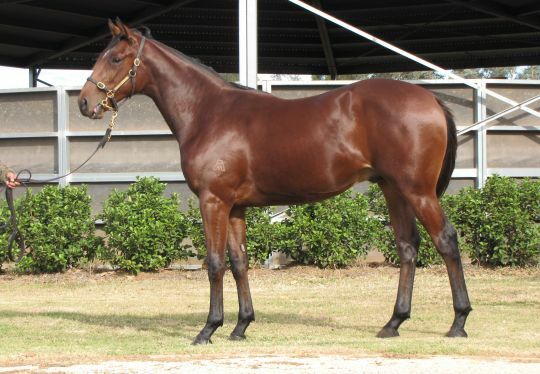 1st Rockhampton JC Peter Boodles Quality Meats P.
1st Mackay TC Samuel Smith and Son H.
Amelia Dreams (2008.f. by Elvstroem-Desert Lark, by Hurricane Sky-Egyptian Ibis). 1st Scone RC SEH Intensive Care Maiden H.
Cosmic Causeway (2007.g. by Shamardal-Cosmic Beam, by Geiger Counter-Royal Filou). 1st MRC (Caulfield) Jack Elliott H.
1st MRC (Caulfield) Story Landscaping H.
1st MRC (Caulfield) Wayne Beauglehole H.
Trick Shot (2008.f. by Al Maher-Desert Trick, by Green Desert-Wily Trick). 1st ATC (Canterbury) Hyland Race Colours H.
Samurai Phoenix (2005.g. by Giant''s Causeway-Different Approach, by Danzig-Western Approach). 3rd Penang TC Class 3 H.
Change Course (2009.f. by Dehere-Different Approach, by Danzig-Western Approach). 2nd Kyneton and Hanging Rock RC Schweppes Maiden P.
3rd Stawell RC Schubert Catering Maiden P.
Another Bay (2005.g. by Fasliyev-Franssica d''Amour, by Geiger Counter-Big Apple Baby). 1st Darwin TC Welcome Jimmy and Jumbo H.
Belladini (2009.f. by Bernardini-Dora Maar, by Royal Academy-Twiglet). 2nd ATC (Canterbury) Australian Turf Club P.
Gamba (2008.f. by Elusive Quality-Crevette, by Danehill-Twiglet). 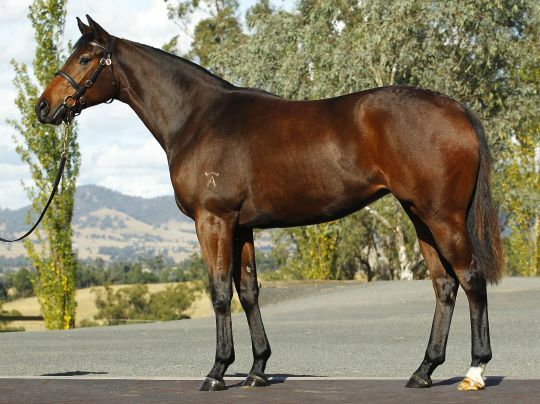 1st ATC (Canterbury) Testa Rosa at Vinery H.
1st Canberra RC Clarke Group H.
Deep Pockets (2007.g. by Lucky Owners-Molly Singer, by El Moxie-Musical Lover). Prince Ransom (2009.g. by Red Ransom-Formal Combat, by Fuji Kiseki-Duelling Girl). 1st Ashburton RC Barneswood Farm (Bm75) H.
Poetic Debate (2010.f. by Dylan Thomas-Duel With Me, by Nine Carat-Sparkling Bounty). 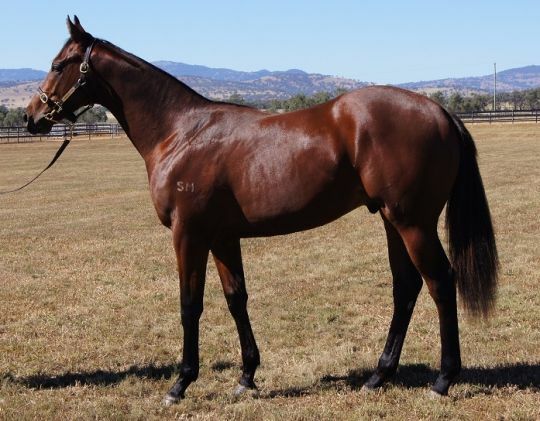 3rd Kempsey RC Dunns Cranes 2YO H.
This lot has had Pedigree updates since the release of the catalogue. Visit the Middlebrook Station Thoroughbreds website. View all lots Middlebrook Station Thoroughbreds has in this sale.